Budget about SGD $17 per person. 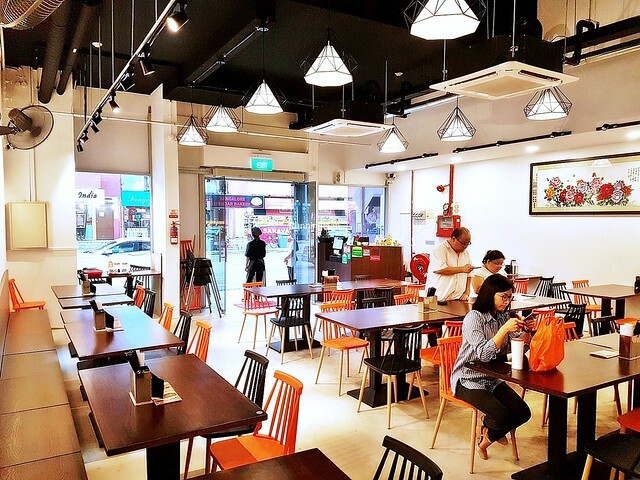 Said to be established over a decade ago in Seremban, Negeri Sembilan, Malaysia, Jia Bin Klang Bak Kut Teh opened their 1st outlet in Singapore in November 2018. 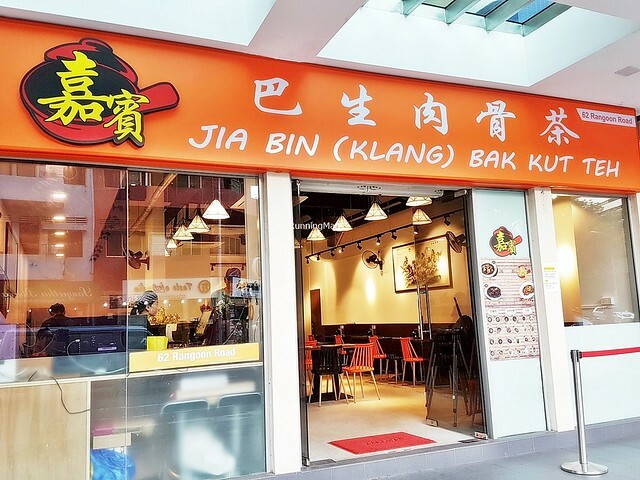 The owners shared that they're related by marriage to the heirs of the recipe, and having already found success with several outlets in Seremban, decided to expand Jia Bin Klang Bak Kut Teh to Singapore. 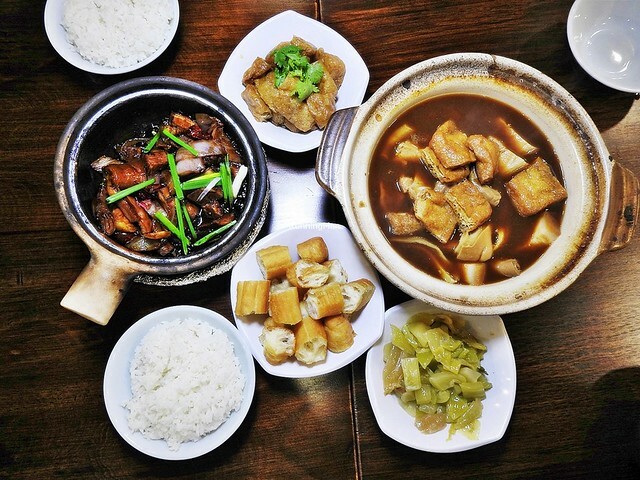 While their brand lays claim to the famous herbal BKT style of Klang, Selangor, Malaysia, their version of bak kut teh has some notable differences in taste and texture. 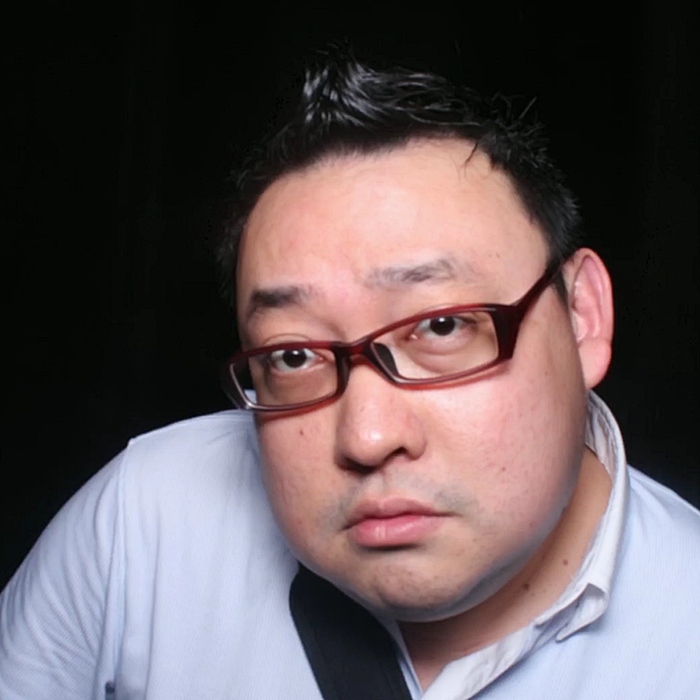 Ambience at Jia Bin is casual functional. 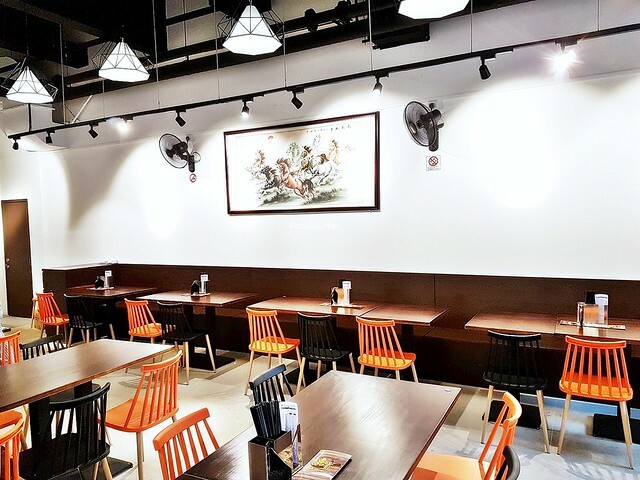 The bright spot light place is neatly lined with wide, sturdy wooden tables and modern wooden chairs, in visually contrasting shades of black and orange. Minimal decor lends a clean look, with floral paintings upon the white walls. 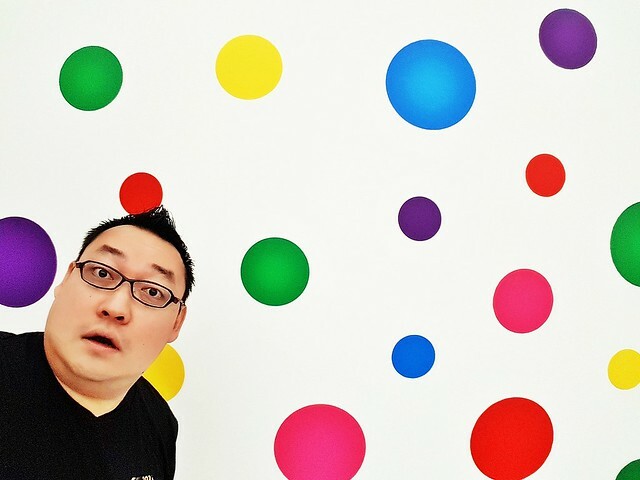 The place is suitable for large groups, though atmosphere can be bustling if the place is crowded. 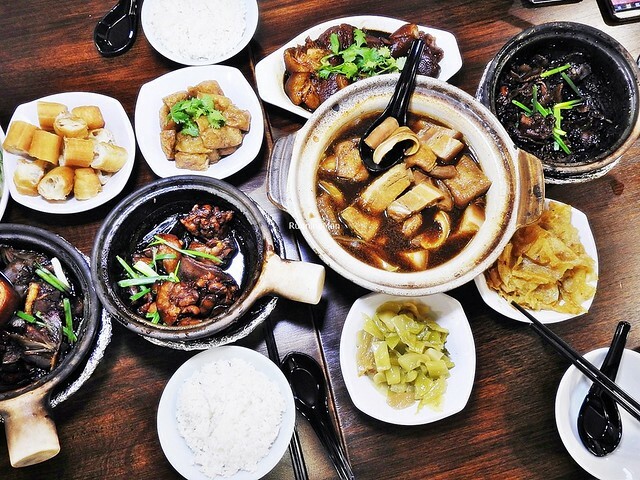 Service at Jia Bin is friendly and welcoming. Staff greet and quickly seat guests, and display sufficient product knowledge to offer recommendations from the menu. 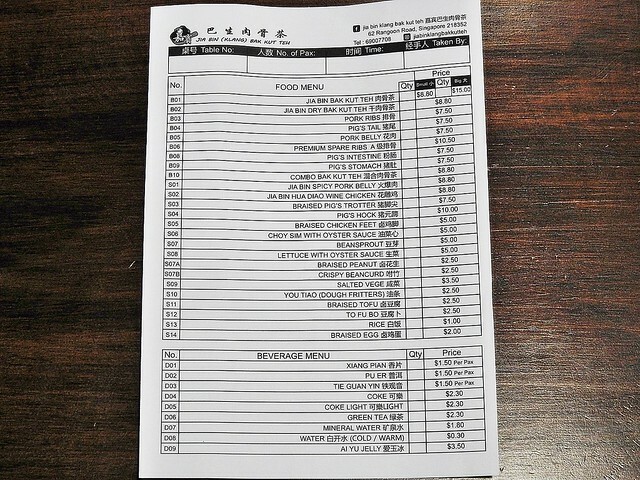 They assist with arranging dishes when serving, introducing each dish (by name) before they place it, although they do this mostly in Chinese Mandarin. I note they are decently efficient at cleaning up when diners leave. 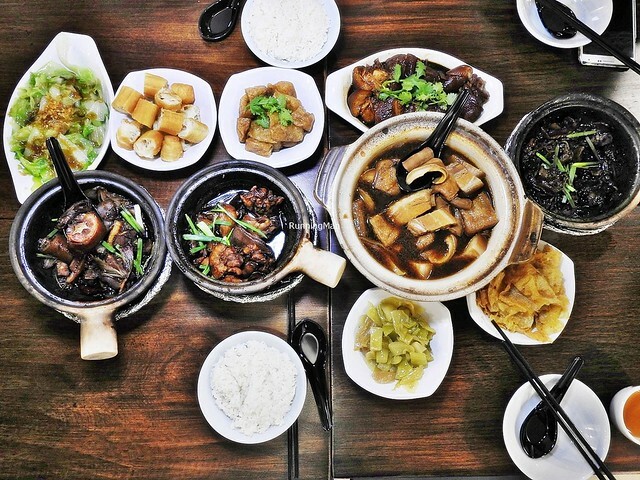 Food at Jia Bin revolves around pork, with the main highlight being the signature Malaysian Chinese Hokkien style of herbal bak kut teh / pork ribs soup with tea / rou gu cha, also sometimes known as Bak Kut Teh (Black). Dishes are hearty and big on flavour, executed according to the decade-old family recipe. Portions are large and best shared, but individuals can finish a single portion too. Prices are comparable to other brands, budget about SGD $17 per person for a meal here. 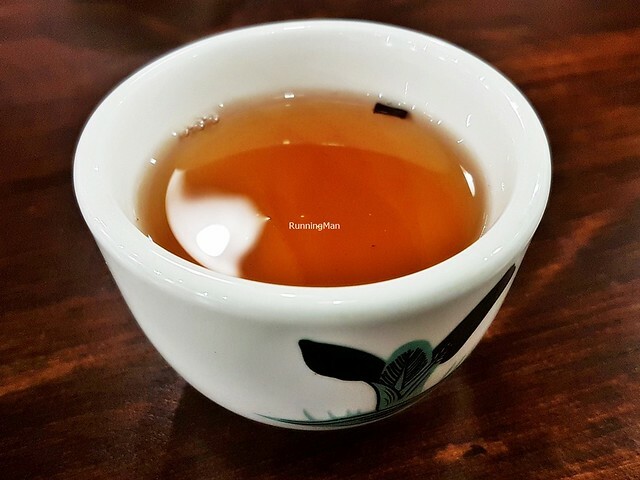 The Tea Tie Guan Yin (SGD $1.50 per pax) or Iron Goddess Tea, is a type of oolong tea. It has a quiet earthy floral flavour, with an easy-drinking texture, and helps to alleviate some of the heavier flavours on the palate. 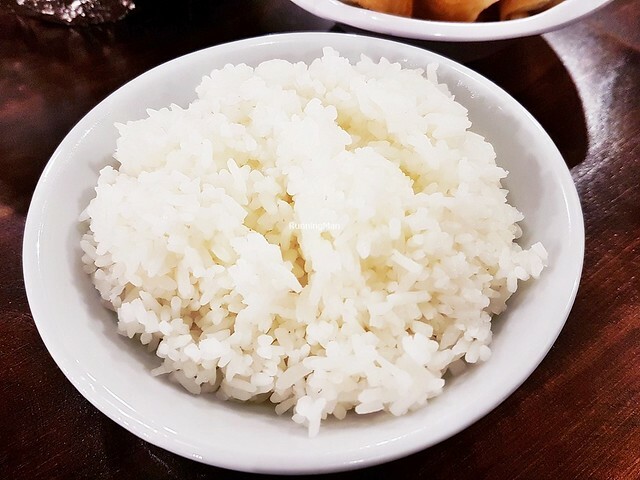 The White Rice (SGD $1) here is pretty standard, with a light fluffy sticky texture and delicate grainy sweet flavour. 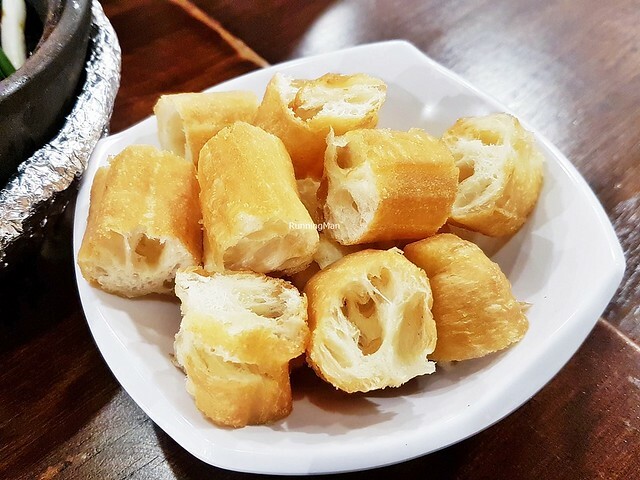 The You Tiao / Fried Dough Fritters (SGD $2.50) is great for dunking in the herbal bak kut teh soup / broth, the crisp texture of the dough fritters slightly tamed by soaking in the rich herbal savoury soup / broth. 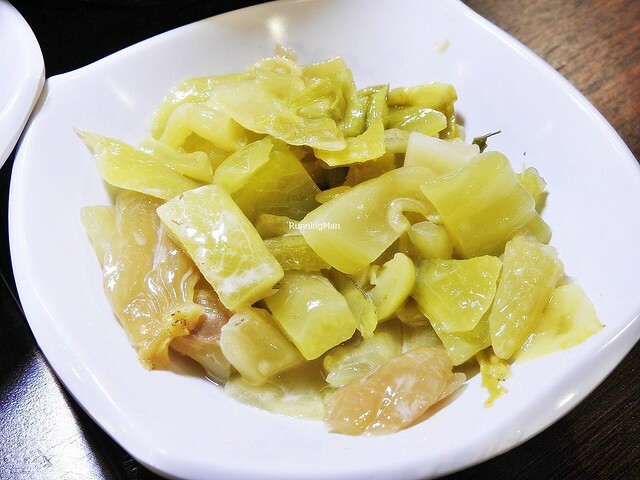 The Salted Mustard Greens Vegetable (SGD $3.50) have a juicy crunch to texture, with a light salty vegetal sweet flavour, nicely balanced. 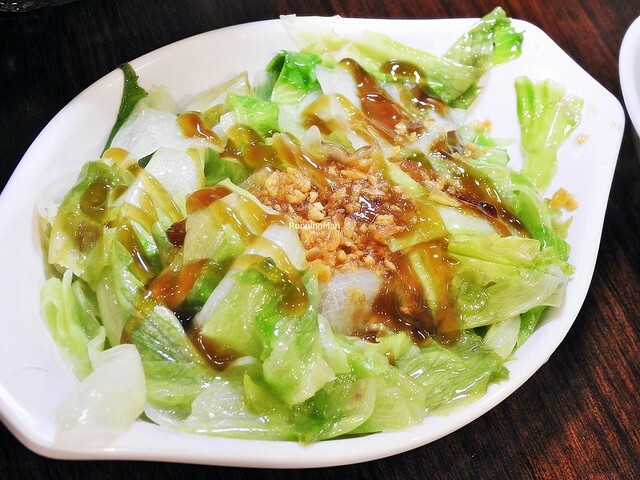 The Lettuce With Oyster Sauce (SGD $5) features fresh crunchy vegetal sweet lettuce, drizzled with a thick savoury salty oyster sauce, sprinkled with fried shallots for a little crunch. 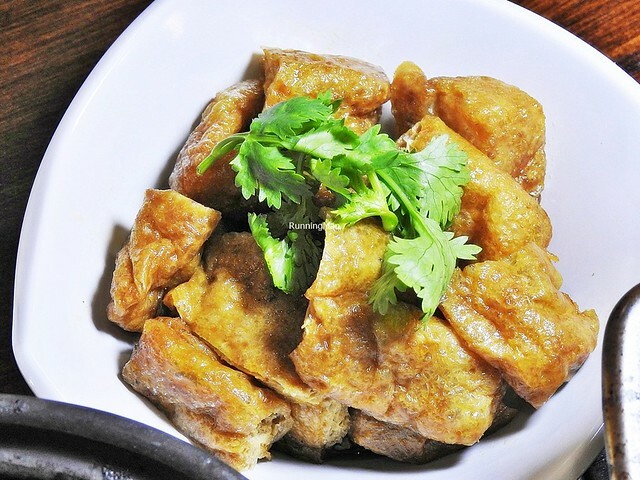 The To Fu Bo / Tofu Puffs (SGD $2.50) have a lovely soft spongy texture, with a nice salty savoury flavour. I like to dunk these within the herbal soup / broth. 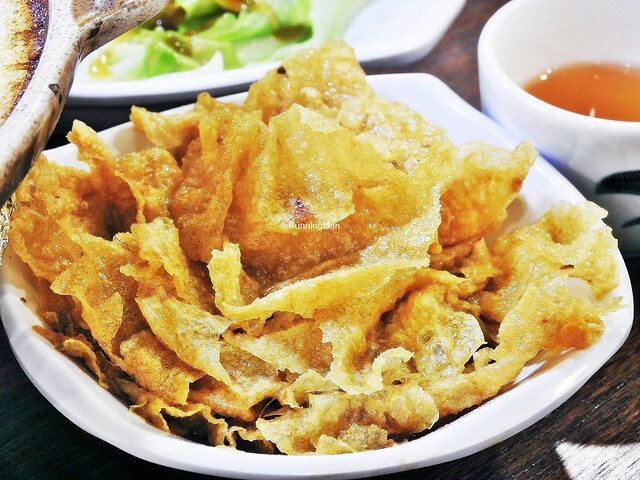 The Crispy Beancurd Skin (SGD $2.50) is gently crispy, crunching softly when bit, and has a delicate grainy earthy savoury flavour. 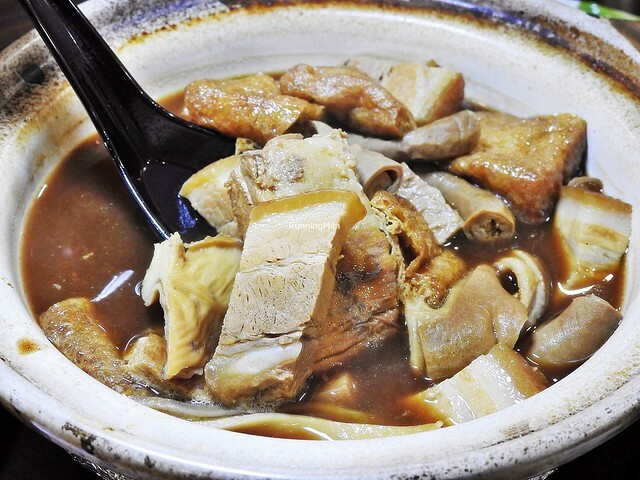 The Signature Jia Bin Bak Kut Teh Dry (SGD $8.80) replaces the robust soup / broth with a rich, sticky gravy / sauce, made from dark soy sauce, red onions, spring onions, and dried chili, giving this a deeper salty savoury spicy flavour. 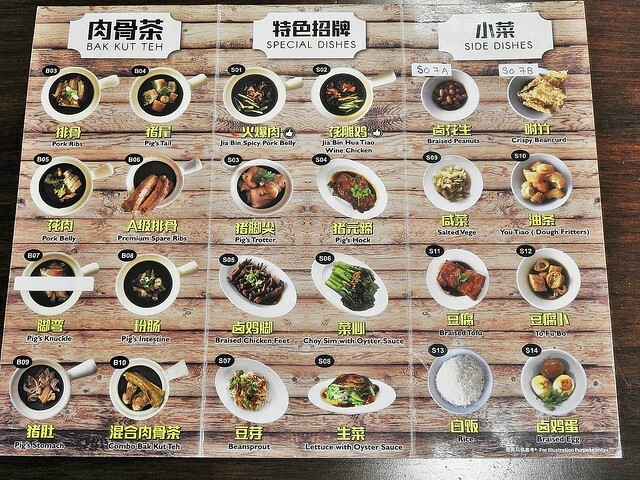 The same great tasting, succulent ingredients are present; pork belly, pig's stomach, pork ribs on the bone, pig's intestines, and pig's tail, without the tofu puffs here. Best shared, or eaten with white rice, as it's rather heavy on the palate, albeit delicious and satisfiying. Good! 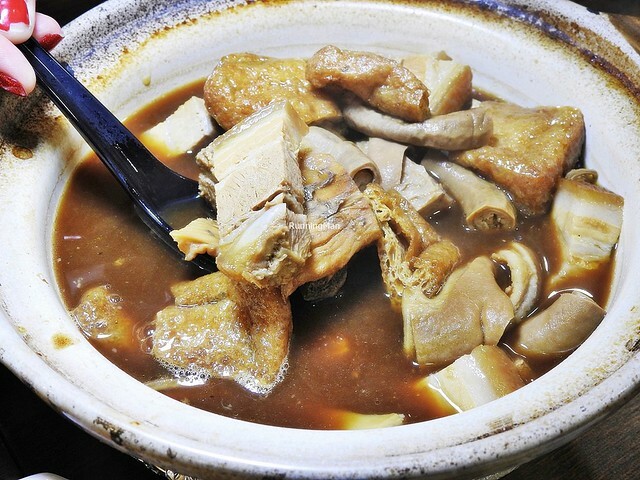 The Signature Jia Bin Bak Kut Teh Soup (SGD $8.80 / $15) takes after the Chinese Hokkien herbal bak kut teh (black) style popular in Klang, Selangor, Malaysia. But there are several differences with their family recipe. 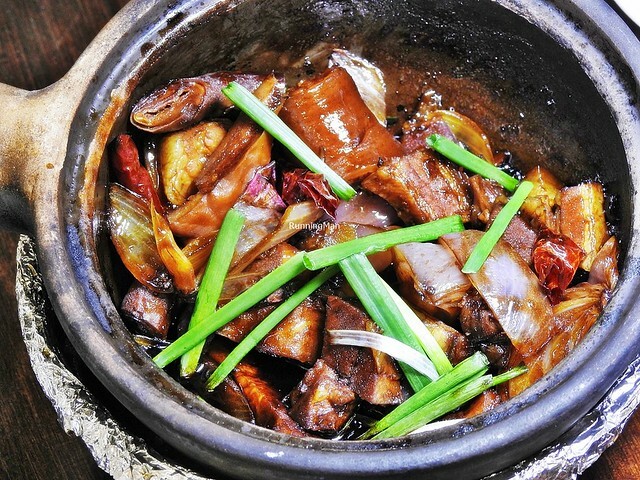 They use 10 herbs, omitting some which cause bitterness, resulting in a pronounced sweet savoury flavour to their soup / broth, followed by a light herbal salty taste. Less intense than elsewhere, very drinkable. 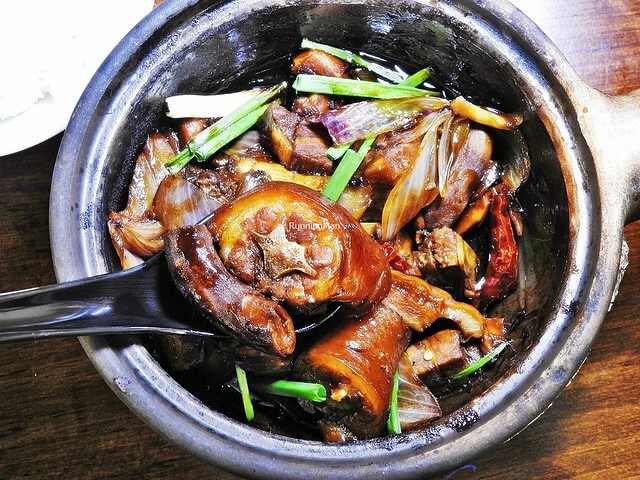 The claypot is filled with a medley of ingredients, all stewed till soft and tender, yielding easily when bit with a light chew, including pork belly, pig's stomach, pork ribs on the bone, tofu puffs, pig's intestines, and pig's tail. Noticeably missing are the vegetables; cabbage and golden mushrooms. Overall, this is hearty, tasty, and comforting. Good! 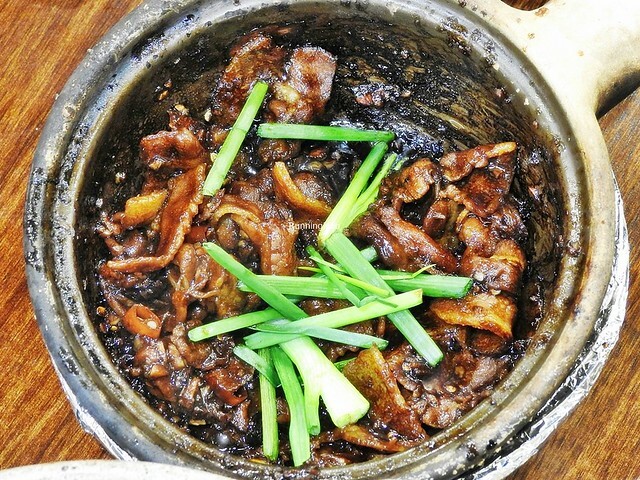 The Jia Bin Spicy Pork Belly (SGD $8.80) features tender, succulent slices of pork loin and pork belly, in a rich, sticky gravy / sauce of dark soy sauce, dried chili, fresh chili, and spring onions. This has a sharper, spicer flavour, followed by strong salty savoury notes. Decent enough. 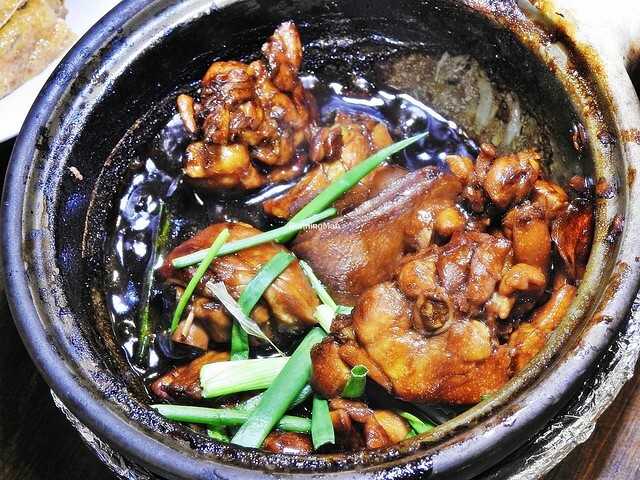 The Jia Bin Hua Tiao Wine Chicken (SGD $8.80) was our favourite dish here. 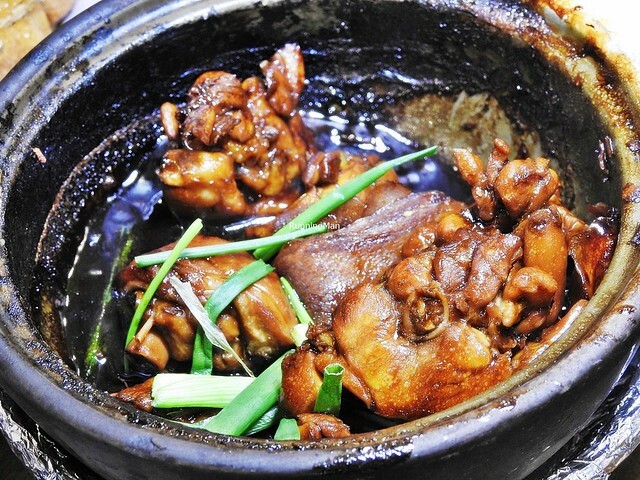 The tender chunks of chicken on the bone are simmered in a claypot with dark soy sauce, ginger, and Shaoxing rice wine / hua tiao rice wine, garnished with spring onions, and served while still merrily bubbling away. 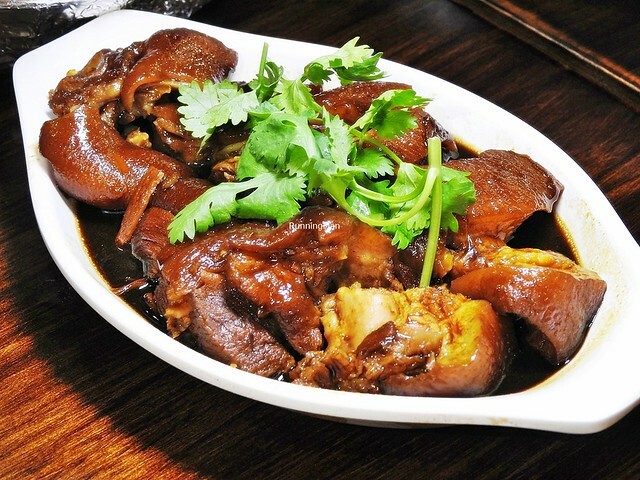 The gravy infuses into the chicken meat, giving it a lovely floral earthy sweet savoury salty flavour. Fairly addictive, and rather exciting on the palate. Highly recommended! 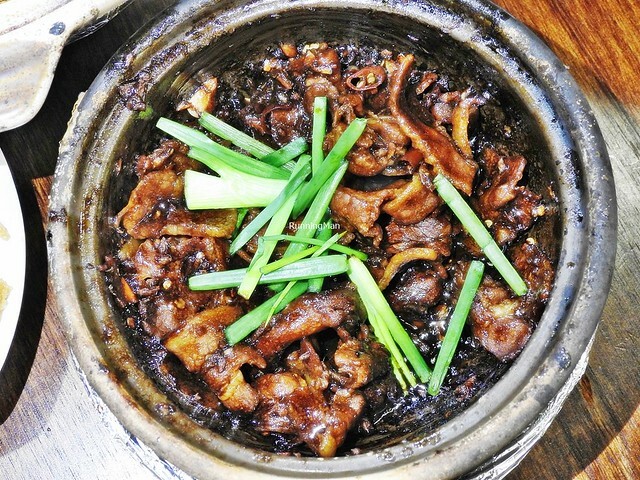 The Pig's Hock (SGD $10) features pig's trotters, stewed till tender and fall-off-the-bone, with a good ratio of pork meat to fatty collagen. 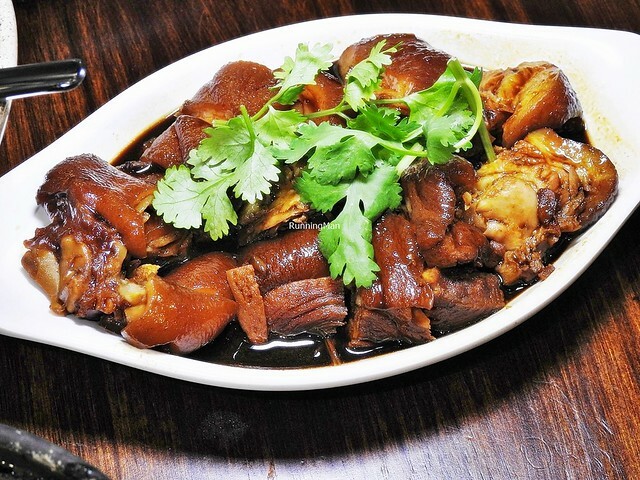 The gravy is salty sour savoury, made with dark soy sauce and black vinegar, and the flavours have infused into the pig's trotters. Yum. 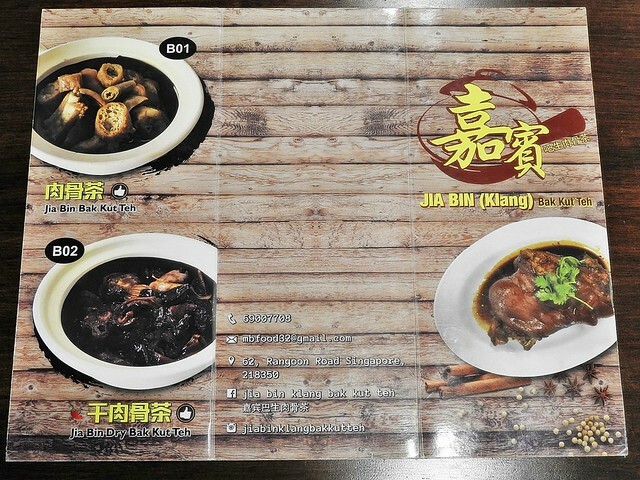 Overall, I enjoyed the dining experience at Jia Bin. The food is tasty, hearty, and affordably priced, while the friendly service and functional ambience lend well to a meal here. 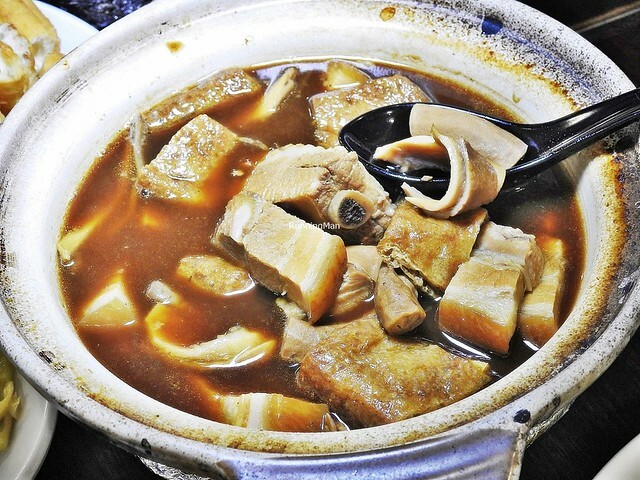 Will return to Jia Bin Klang Bak Kut Teh for more!